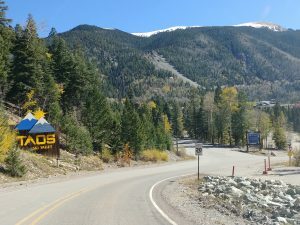 Taos Ski Valley is located in Taos County, New Mexico and is the third-highest US City by altitude at 9,321 feet (2,841 m). (wikipedia.org) The Powderhorn Suites & Condominiums is located at 5 Ernie Blake Road, Taos Ski Valley, NM 87525. Follow the signs for all traffic. Continue through the resort parking area and turn right onto Thunderbird Road (Alpine Suites on your right). Turn left onto Ernie Blake Road. The Powderhorn is located 50 yards up the road on the left. Please be advised that there will be construction near the Blake hotel beginning April 2019 and work will resume through the fall. Construction has started alongside parts of Thunderbird Road between end of parking lot (Chamber of Commerce Kiosk) and the pedestrian bridge to plaza. During this time this stretch of Thunderbird Road will be either closed for through-traffic or closed completely. 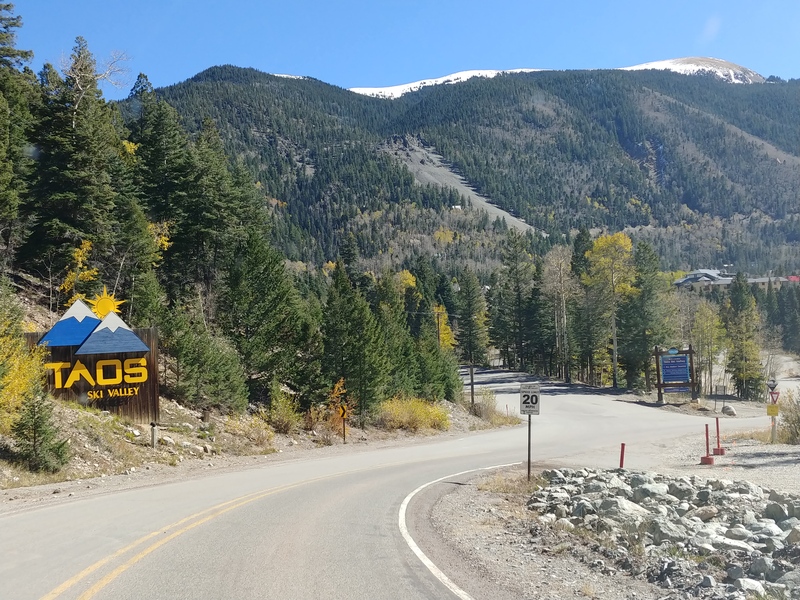 In case of full closure, please access the Powderhorn via Twining Road as follows: when entering Taos Ski Valley, take an immediate left after the TAOS Welcome Sign (Thunderbird Road – upper parking lot). 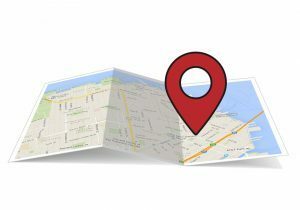 Take a left into Twining Road and follow the road until you hit Ernie Blake Road. Take a sharp right into Ernie Blake Road and proceed the road downwards. The Powderhorn is the second building on your right hand side. Please note that pedestrian access to the Powderhorn via Thunderbird Road coming up Ernie Blake Road might be available during this construction time. Please use caution. Is available in the free parking lot of the resort. Albuquerque International Sunport – home to 7 major airlines (Alaska, Allegiant, American, Delta, Jet Blue, Southwest, United) and offers nonstop flights to 24 major cities. Santa Fe Airport – American Airlines flies from Dallas/Fort Worth and Phoenix and United Airlines flies from Denver and Phoenix. Taos Regional Airport – currently services private and charter flights and since December 2018 a 30- passenger Dornier 328 turbo-prop high-wing jet commercial flight. Projected service days are Thursday, Saturday, and Sunday with the plane flying Austin/Taos, Taos/Dallas, Dallas/Taos, then Taos/Austin: Fly Taos Air. Albuquerque International Sunport → Most major companies operate from the Sunport Car Rental Center. Sante Fe Airport → Only Hertz and Avis operate from the airport. Enterprise and Budget are located off the airport. Taos Ski Valley Shuttle Service: 800-776-1111 or shuttle@skitaos.com. Provides daily year-round service to Taos, Santa Fe and Albuquerque airports. Reservations are required. Please allow 2 hours between Taos Ski Valley and Sante Fe Airport (1.5 hours to/from Town of Taos) and 3 hours between Taos Ski Valley and Albuquerque Sunport (2.5 hours to/from Town of Taos). See Taos Ski Valley Visitor Transportation Services for Shuttle Times and Rates. 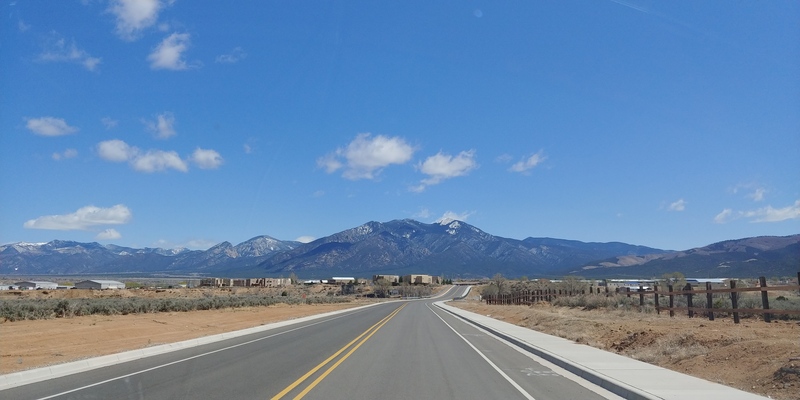 Shuttle Service when arriving with Taos Air → Taos Transportation, an affiliate of Taos Air, offers complimentary ground transfers between Taos Regional Airport and Taos Ski Valley. The shuttle will make three stops in Taos Ski Valley. Light rail service from Santa Fe to Albuquerque and south to Belen. Shuttle service between Albuquerque Sunport Airport and Rail Runner stations provided by ABQ Ride.